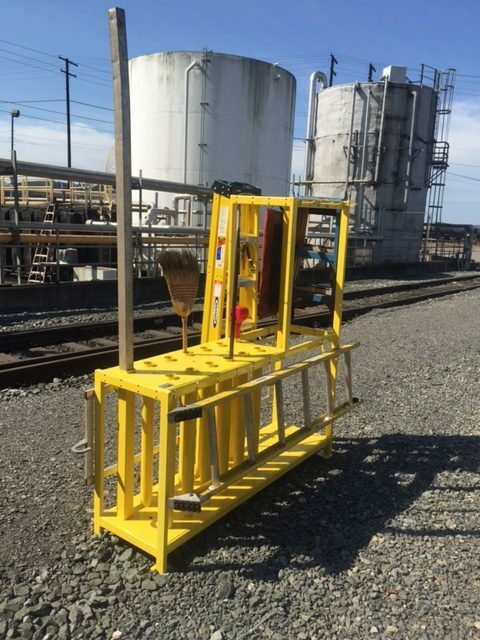 Use our new rack on service tracks or any other location requiring the storage of tools and equipment. 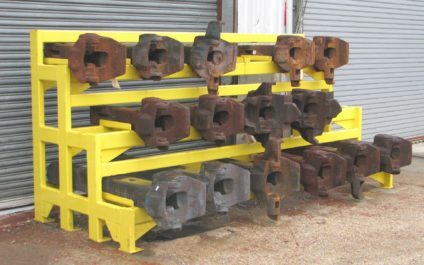 Tube slots are provided for pry bars, brooms, sledge hammers, or any other tools or equipment with handles. 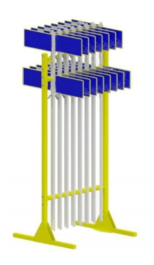 Large and small hooks located on the sides and ends of the rack are adjustable. 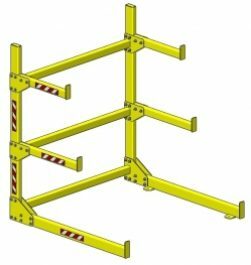 They are designed to store ladders, cords, or any other equipment as necessary. A basket is provided for the storage of miscellaneous small parts. 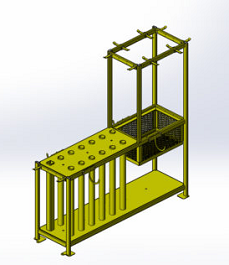 Mounting holes are provided to anchor the rack the ground if required. Each flag sits in its own cradle to maintain uniformity. Storage stands should be anchored to the concrete to prevent tip over in high winds. The stand is 43″ wide X 40″ long and 97″ high.